Dig it, Groove-ophiles! Way back in 1969/1970 (Li'l Groove's first grade year! Just tossin' that in there...) Gil Kane and Murphy Anderson provided the art for Batgirl and Robin's solo back-ups in Detective Comics. 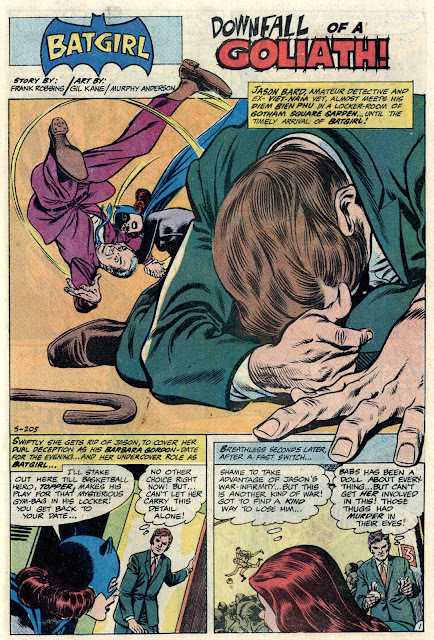 Capes, fists, and feet were a'flyin' from issues 384-397, with each young caped crusader alternating in two-part tales (thanks in no small part to the smashing scripts by Mike Friedrich and Frank Robbins). 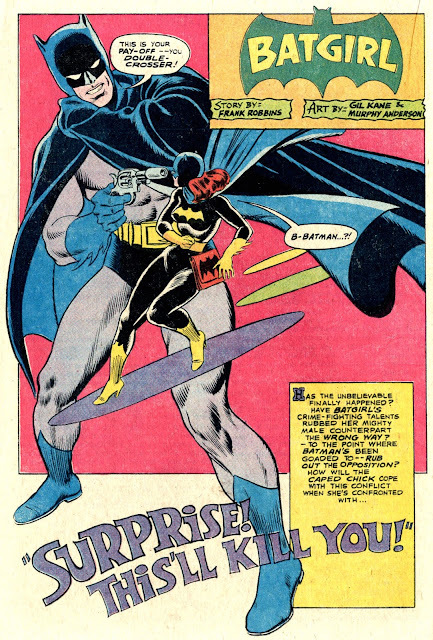 Today we're gonna focus on the Batgirl splashes: 384, 385, 388, 389, 392, 393, 396, and 397. We'll get to the Robin ones in the near future, and after 397, Kane stayed on for a little while longer with a few different inkers. Again, we'll get to those, too. But for now...it's Kane and Anderson unleashed on the Dominoed Daredoll! I was a kid at the time as well, and I liked the character and the art, but couldn't quite figure out why the series didn't grab me the way her appearances WITH the Dynamic Duo did. The washing out of the costume's black didn't help, but that came later. I think they might have benefited from giving her a cool headquarters, similar to the one behind her apartment on the TV series. She just seemed undeveloped. 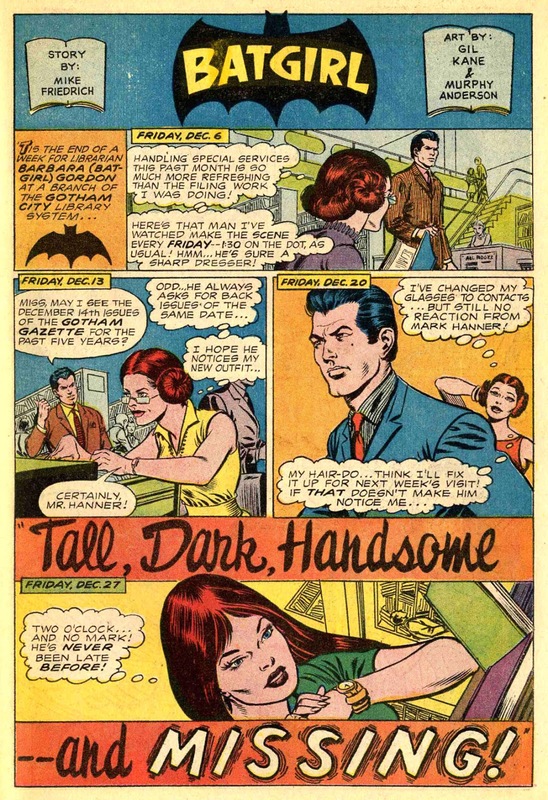 I'm guessing "Mark Hanner" mentioned in the first two examples is a wave to fandom/DC figure Mark Hanerfield? Not to nit-pick, but Gil Kane inked the splash page for "Orchid Crusher". The rest of the story is Anderson's inking. I always felt Murphy was DC's answer to Joe Sinnott...decent penciler, but an astonishing, slick inker who could make even mediocre pencils (which Kane's were NOT) look great! 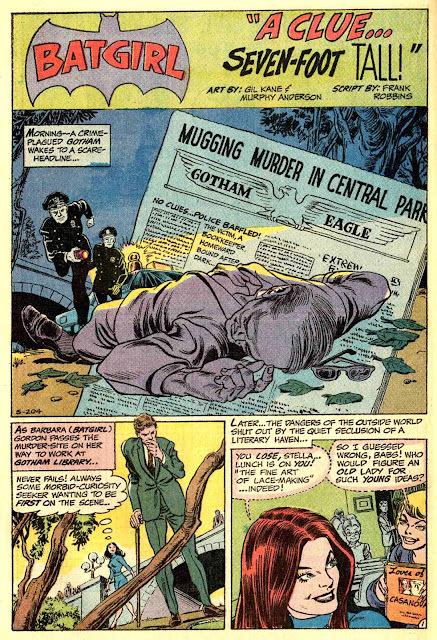 It's too bad DC utilized him mostly on the covers and not the interiors (loved him with Sekowsky and Infantino). It would have been interesting to see how he would have meshed with the Buscema brothers. SO. MANY. NOSTRILS! 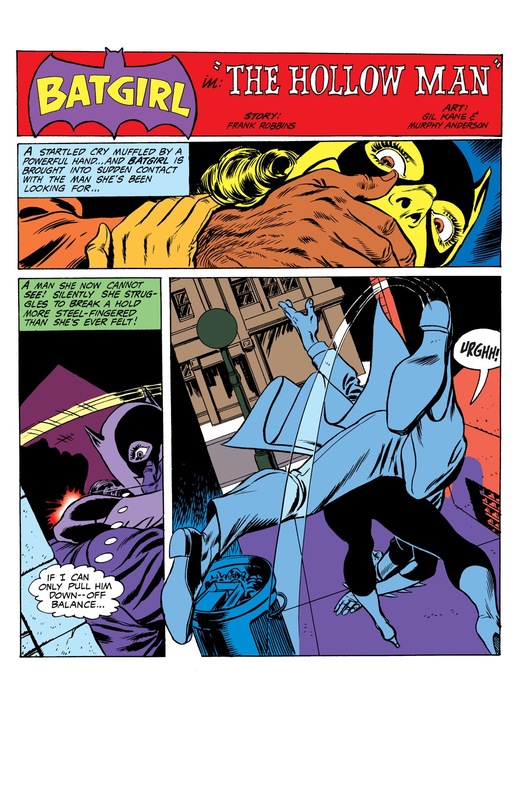 Man, Gil Kane really loved his nose shots. Wow, that's the same year I started first grade. No wonder our tastes seem to run in the same direction. Awesome post. 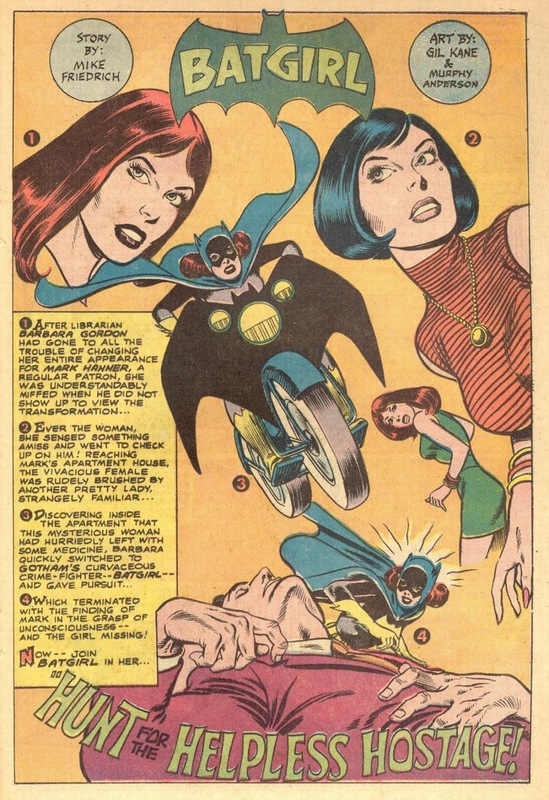 I collected most of DC's super-heroine comics during the Groovy Age, thanks to the characters' appearances in other media. Lynda Carter led me to the Wonder Woman comic, and Debra Winger led me to Teen Titans. When JoAnna Cameron's Isis got her own comic, I bought every issue. 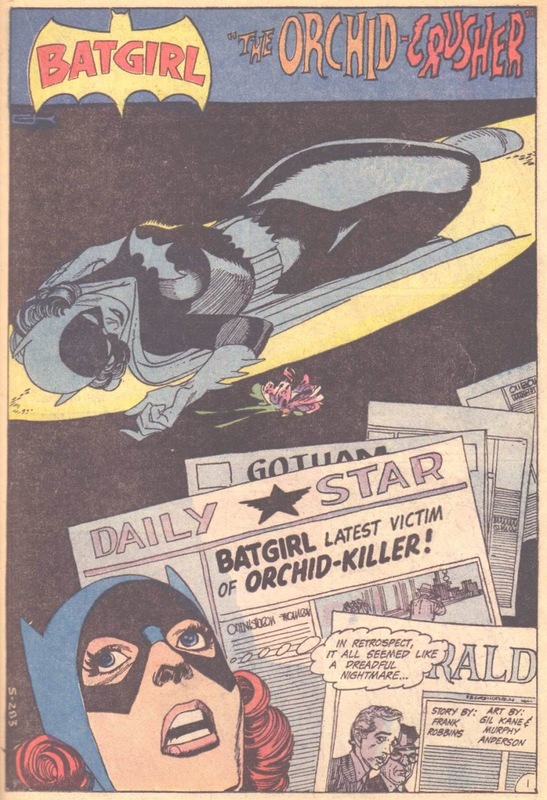 The same is true for Lindsay Wagner and Charlton's Bionic Woman comic. And even though it was years before Helen Slater would play Supergirl on the big screen, I purchased Superman Family faithfully. 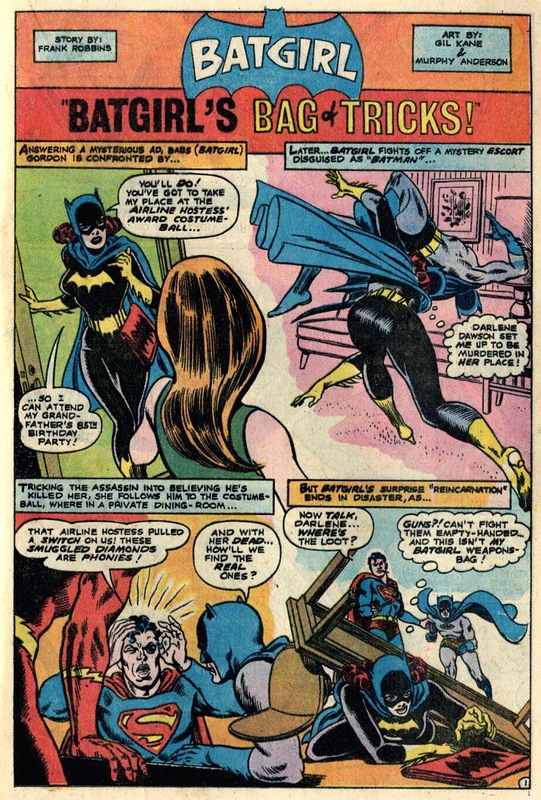 But for some reason that is still unknown to me, my love of Yvonne Craig on the Batman reruns never caused me to seek out Batgirl's comic book adventures. These splash pages look great. I'd love to see some of the full stories.